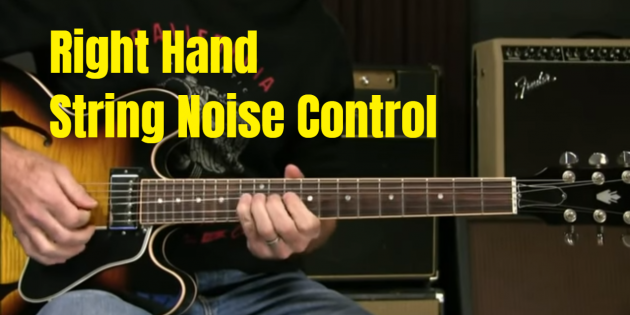 This is a problem I see a lot of advanced beginners and intermediate players have… where things get all “ringy” because they aren’t controlling the extra vibrations with their picking hand. So in today’s live video, I’ll talk about why you should keep that picking hand palm actively muting at all times, and how you can practice this technique so that you aren’t getting a bunch of extra sounds. This is the snag that has kept me on the acoustic for so many years. Now I have an approach that may bring me back to the electric guitar again. Going to keep at it now that I have an approach. You cant play rythmically (or atl least not for long) unless you can control the sustain and ringing because unless you do, each note lasts longer or shorter so that it’s ************. ***************************, ******, ****************************************. You want ********,********,********,********. . Steady defined fills of sound. Even if you exactly repeat the above pattern more than once its rythym. As for ringing of other strings, its good to remember that noise is unwanted information. So unwanted information makes it harder for the listener to recieve what you are trying to say. A good reminder and important lesson from Griff! THANKS GRIFF, love the info. Cheers GH………something I need to work on! Something else is the unwanted….kind of…pull off effect I suffer when bending a note. The tip of the finger(s) catch on the string(s) above and give me an unwanted pull-off. The only way I can guarantee this won’t happen is to use the very tip of my left hand finger(s) so that only the nail touches the string above. I find that tiring and restricting. Any ideas……apart from taking up the saxophone?! Thanks griff, I have been trying to be more conscious of this. I noticed that sometimes when I was getting into a solo I would start to lift my hand up. More focused and trying to stay more relaxed is helping quite a bit. Good stuff, Griff! I sort of “stumbled”upon this quite by accident a number of years ago when I first was learning to play, mainly, I guess from experimenting on my own and watching as many players as I could while living in a very rural area. I still find it awkward to do with a pick in my hand, but, since I play mostly finger style it doesn’t affect me a whole lot. I wish the Internet and your teaching had been around fifty years earlier…….I’d maybe be a better player by now! Being a “self taught ” guitar player is far simpler now than it was then.